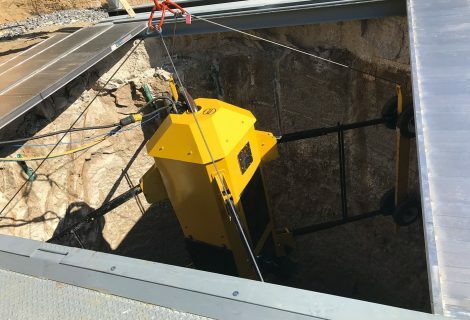 The Raise Robot is a remotely controlled robotic assembly for the spraying of shotcrete in shaft. The machine is designed for use in raises a minimum of 1,5 m diameter up to 6 m diameter. Retractable armsstabilize the Raise Robot and allow for undulations along the interior surface of the raise. An A-frame structure holds the Robot above the shaft. The dry preblended material is constituted of: cement, sand 4-8 mm, microsilica, steel fiber 45 mm. The water is added in the nose. No additives are used. 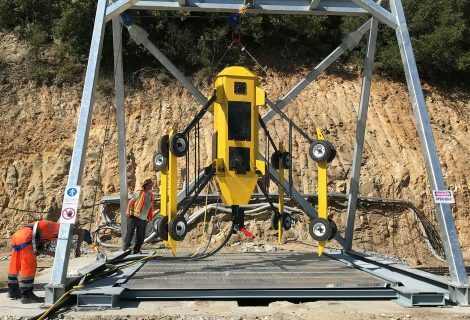 The Robot is lowered by means of a heavy-duty incremental winching system. The system allows for variable speeds from 5 cm/min up to 6 m/min. A removable aluminum cover easily allows to open and close the mouth of the shaft. The operators can work on this aluminum structure secured whit a harness and an extensible safety lanyard. During its descent, the Raise Robot washes (hydro-blast) the interior surfaces. On its return, the unit commences spraying shotcrete in a uniform single pass. The electric motor on the spray head allows for 360° non-stop rotation. The Raise Robot is used in conjunction with a pneumatic pump for dry material mounted on an Integral Predampner. 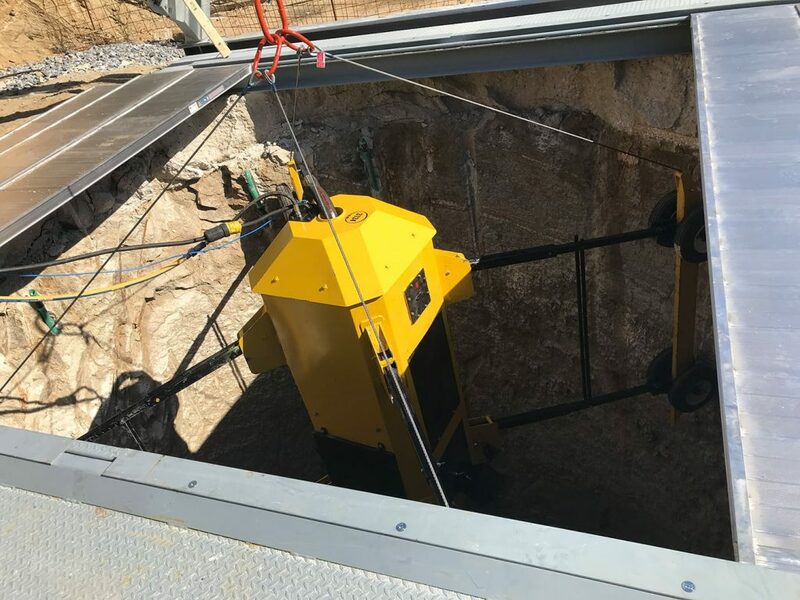 Predampned material is conveyed through 50 mm diameter heavy duty hose for the remote application of shotcrete via Raise Robot. 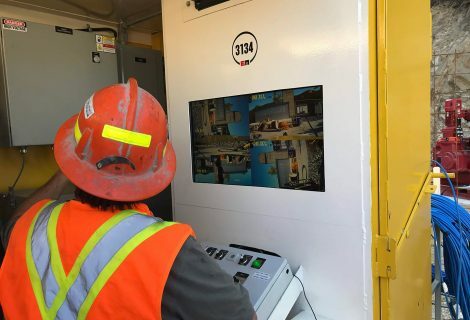 At the surface level, technicians monitor the progress of the raise Robot via video display. 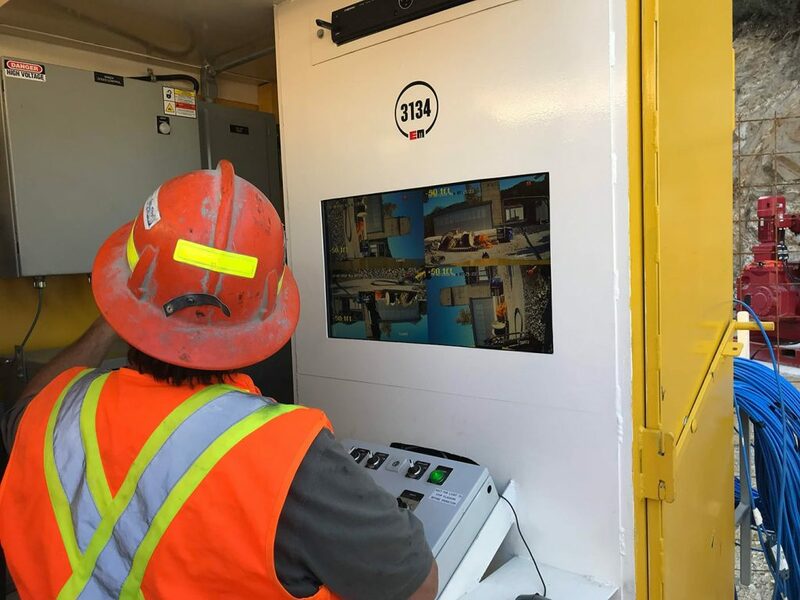 The Robot has four cameras and a video-recording station. The operator can modify the spraying parameter. 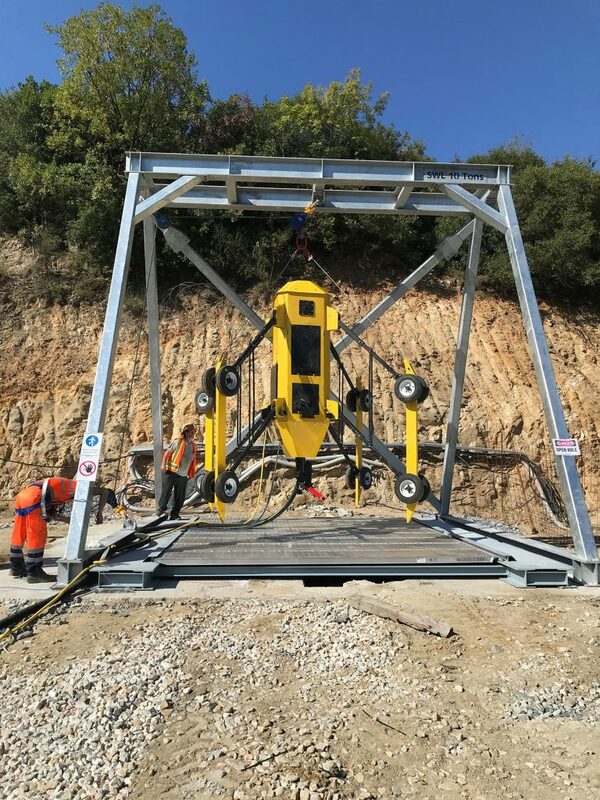 The Remote Raise Robot allows you to create a support for the raise walls without installing heavy structures and without human intervention in the well to obtain the final result in the best conditions of safety, saving time and reducing costs.